follows some exploratory treatments. This isn’t necessarily bad, as it is how we brain storm and get to the good ideas that result in cures. However, some of these over time can turn out to be quite dangerous and caution should be used. In some cases, it is just purely a hoax and an attempt to capitalize on the ill and suffering. Sadly, with Lyme disease, it is difficult to discern what effectively kills Lyme Spirochetes, what supports the body to minimize symptoms, and what is placebo or a scam. Since there is no accurate test, and very little research being done, it is impossible to know which treatments work and which ones don’t. So it is important to keep your wits about you. Approach any new treatment with some skepticism and do your research. Some of these turn out to be quite effective and many claim to have had great success. And some turn out to be purely placebo. Only time reveals the truth. When in doubt, research who is behind it, whether they insist on anonymity or not, and if they have any ties to monetary gain. I feel compelled to encourage anyone considering any new treatment to do some serious research and contemplation. I do not mean to discount anyones experience and I am not saying that those shown on this page are definitively bad or scams. However, they are not yet recognized by most Lyme experts as being effective or safe. Many have gained popularity recently and have raised some big questions for me. Be sure to use the oversight of a doctor without a doubt, even if it is only to monitor organ and metabolic function. 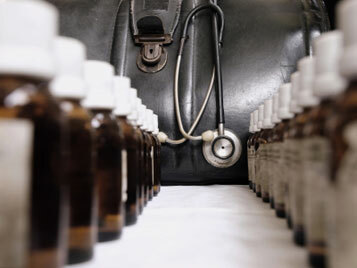 Homeopathy was first introduced in1796 by Samuel Hahnemann. Although many people claim to have success with this, there is absolutely no scientific evidence, despite many studies, that this works. Sadly, this is simply a modern day version of snake oil. Now, before your throw your hands up, hear me out. I used to believe in this stuff, too. If you do some research and look into the very theory and practice behind homeopathic remedies, you will quickly see that there is no denying this truth. It is a perfect Placebo. And it is, quite literally, a sugar pill. Homeopathy is largely based on “energetic imprints”; in which case, save your money and learn to meditate. You’ll have an even greater effect. The other aspect to Homeopathy is the belief that by introducing immeasurable dilutions of a pathogenic substance, you will induce the body’s natural healing of that pathogen. The theory that it has any effect on the human body or immune system is just not substantiated. While I can see the idea behind it (similar to immunizations), the level of dilution is often in the millionths. When tested on human subjects, it tends to show no effect at all beyond placebo. If it doesn’t make sense, chances are it probably isn’t true. Homeopathy is not to be confused with Naturopathy, although some Naturopaths use Homeopathy as one modality. Naturopathy is an umbrella term for all sorts of Natural Healing methods. There are some “homeopathic remedies” that are not truly homeopathic in dilution or preparation methods. This type of remedy would fall more under “Herbal” or “Natural” and contain significantly higher percentages of the active ingredient. These tend to at least be helpful in improving symptoms and may have some benefit. An example would be Homeopathic Arnica Cream. The herb Arnica has been used for centuries for first aid and soreness. There are many people out there offering to publish results and even give rewards to anyone that can prove that this method works in a controlled double blind study. To date, this has not been achieved. There are some links to the right to get you started in understanding why this one is too good to be true. The Rife machine was invented by Raymond Royal Rife. This is one of those things that I would love to believe in. I have a lot of personal experience with the effects of electrical and energetic resonance in the human body. I am still researching more into this, so my opinion may change. However, the evidence just isn’t there to support this right now, and they are very expensive machines. The very theory behind this is that Rife mapped the resonant signature of all microbes and by increasing that resonance, destroyed them without damaging other tissues. This just seems impossible to me. It is estimated that we have somewhere between 500-1000 species of bacteria in the human gut alone. We have 10 times the amount of human cells in bacteria. To say that he could pinpoint each one individually, and each one resonates as if it was a unique fingerprint is unlikely. Several people claim to have had incredible success with this. I wonder if it falls more into the category of mind over matter. Let’s face it, if you use a sauna or get a massage, you are relaxed and feel rejuvenated afterwards. It can temporarily minimize symptoms, and may even create a type of herxheimer reaction, but it does not cure the underlying cause. This very well may be the case with this machine. If it helps minimize symptoms and makes you feel better for a little while, then it may be worth it. However, I would not go into it expecting it to cure Lyme disease. In other words, don’t put all of your eggs in one basket expecting miracles. There is the idea that it was a conspiracy in the medical community that squashed Rife’s discoveries. Perhaps that is partially true and he may have been on to something that deserves more scientific research. He was a brilliant man and enabled great progress in medicine regardless. However, until there is more research into the actual effectiveness of this machine against the Lyme spirochete, I would spend my money on more concrete alternatives. Again, that’s just my personal opinion. If you decide to try it, find an experienced practitioner to oversee the treatment and try out the machine before buying one for yourself. If you do buy one, don’t cheap out on it. Do your research! Not all machines are equal, and some of the cheaper ones may actually be scams or be harmful. Here’s my logical train of thought that leads me to skepticism. Electromagnetic pulses will affect all cells, not discern Lyme spirochetes or even pathogens from good cells. Besides that obvious flaw, even if it could be “dialed in” just perfect, the reason it works is heat. This could explain why some people respond well and some people don’t to this therapy. Some Lyme patients are sensitive to heat, some to cold. If it’s heat you want, you’d be better off with an IR Sauna which helps with Detox and stimulates the immune system (see the Detox page). With this machine, you are basically cooking the cells, the question is, which ones and how many? Right now, we just don’t know. My biggest concern is electromagnetism is used for irradiation (and don’t try UV blood irradiation either….those are three words that should never be used in a sentence together). Electromagnetism is also used with microwave ovens, Medical Imaging, UV radiation, tanning beds, things that usually come with a warning about harmful radiation. Ozone Therapy, another form of electromagnetic radiation does have some antimicrobial benefits. However, it also has some ill side effects. The mechanism of action results in the ionization of lipids, which can in turn cause cell damage and death. Common sense says Ozone + human = probably not a good idea. If it’s oxygen you’re after, do yoga and deep breathing. This is much more effective. Perhaps it’s because I worked as an electrician for so long, but it’s pretty obvious to me. Exposure to high levels of electromagnetic radiation damages tissue and can cause nervous disorders, hallucinations, mood changes, uneasiness, etc… This is often experienced in homes or buildings with power lines over or near, Electrical Power Generation, and even large commercial transformers (which are one big coil!). We get enough little doses of this from all of the electronics we are surrounded with. It’s not something I would entertain purchasing. I have received some feedback regarding a specific device and manufacturer that I have looked into in regards to Therapeutic Support. I do believe there may be some benefit in this regard which is why many LLMDs choose this specific biofeedback machine made by Ondamed. I do not believe this falls into the same category as the Rife machine claims as it is used as supportive therapy, not as an antimicrobial. I have grave concern for the growing popularity of this protocol. While some have had success with it, others have been seriously injured by it. The originator of the protocol comes into question first off. Others have altered the original protocol and claim that it “cures” Lyme disease. I was curious and did some extensive research on how Salt and Vitamin C affect the human body and what large doses can do. I tried to put as many links in this text as I could, for your own reference and convenience. I am by no means an expert on this, but I do have a strong opinion on it and this is what I found. Beginning with common sense, the claim that relatively high doses of salt can “explode” Lyme pathogens without harming any other tissues or good microbes seemed ridiculous to me. So I looked into the role of salt in preservation techniques. What I found was that you have to have a 10% salt solution for killing microbes in the preservation of meat and other food products. Anything less than that is not effective. In addition to that, sugar has the same corresponding effect on microbes, but you wouldn’t go ingesting large amounts of sugar without knowing the dangers, would you? So let’s think about how salt is used in the human body. It is well known that humans cannot drink seawater without dying. The world’s seas average between 3.1% and 3.8% salinity. The human body averages between .09% and .15% sodium. Do the math, and this alone clearly raises a question. If we would have to have 10% salinity to kill microbes in the human body, there is no way it is killing Lyme spirochetes without killing us first. Here’s the thing, yes humans need salt for metabolic processes. But, we get all that we need from our normal food intake. Table salt, including sea salt, is not in a form that the human body can readily use. In fact, when we add excess salt to our diet, our body compensates for it and metabolizes appropriately to return to homeostasis, or balance. It is well known that too much salt intake causes serious renal and cardiovascular risk including stroke, heart attack, and hypertension. Salt toxicity is a real concern. There are even studies of the dangers of road salt getting into water sources and its toxicity levels for plants and animals. Why would humans be exempt? Some would argue that there are different types of salt, and this is true. However, the only real difference in sea salt compared to processed table salt is that it still contains all of the other minerals which can add benefit if one is vitamin and mineral deficient. However, any positive gain from this is negated by the fact that the body leaches minerals from the bones to counterbalance an excess of salt in the body, particularly Calcium. The kidneys pay the price for all this because it is their job to maintain pH level in the blood and homeostasis in the body at all costs. There is a reason that eating salty foods makes you thirsty. Your body is trying to balance the excess. So why are so many people having success with this? Some claim that it dehydrates the microbes. However, in order to do this, you would have to dehydrate the entire human body to have an effect. Some claim it alkalinizes the blood. The idea that we need to achieve an alkaline environment for health simply is not true. Your body will do whatever it takes to maintain that, even if it means depleting your organs, tissues, and bones of all they’ve got. The fact is, no matter what you do, your body will compensate for whatever you put into it to keep its pH level within tolerable range. If it can’t do that, you will have organ failure or you will die. It’s that simple. There are many theories, none of which are backed with any real clinical or scientific evidence. It seems some who believe they had success with this treatment may be experiencing low blood sodium which can be caused from imbalances in hypothalamic, pituitary, and adrenal functions. It can also be caused by a condition called hyponatremia, which can be caused from drinking too much water too quickly. If there is low blood sodium, symptoms could improve with increased salt intake. Vitamin C is a known immune booster and it is hard to take too much of it without knowing it, as it will cause diarrhea. Although not all Vitamin C is alike and there are some hidden dangers in it, particularly with synthetic supplements. One other possibility is it helps with parasitic infections and fungal overgrowth since it goes first to the digestive system where it is then processed. This makes the most sense to me. However, there are so many other safer and gentler ways to deal with these infections, it doesn’t seem necessary to take the risks involved in this protocol if that is where the benefit lies. No one can say for sure why some people seem to have success with this Protocol. My gut feeling is it has little to do with Lyme disease. One undeniable truth is there are many people who have suffered greatly from trying to self-treat with this protocol, particularly without the oversight of a physician who would monitor renal and cardiovascular function. My personal feeling is the risks far outweigh the possible benefits, particularly when there are so many other alternative methods that are more gentle and effective available. Quite frankly, I wouldn’t try this protocol if my life depended on it. But that is my personal opinion. There are some more links to the right if you’d like to research more for yourself. Again, this is one of those things I would love to believe in. This used to be known as Immune Response Training (IRT). It is now referred to as Advanced Cell Training (ACT). The main idea behind it is to use focus, meditation, and prayer to train your body to self-heal. While it may indeed help minimize symptoms, support the immune system and overall health, as any meditation can do, it does not kill Lyme Spirochetes. The first thing I noticed when I went on their website was the disclaimer that you have to agree to in order to learn more. It includes a hold harmless agreement, which means that if you have ill effects from the treatment, you have no recourse. You are forced to agree to this before you can even read further about the therapy. This does not leave me with a warm fuzzy feeling. This particular company raises an eyebrow of extreme skepticism in me because they do target Lyme patients and admit that it is not a cure, and it is not capable of being proven effective. It would seem to me if their claims were true it would work on any illness, not just Lyme and other “syndromes”, and it would be able to be proven in cases where testing is accurate. It is also suspicious to me after a fraud investigation for IRT, the name was changed to ACT. Once you actually pay for treatment, you join a teleconference where you are given “codes” specific for the group. I’m not sure exactly what each code is supposed to do or how it works, because I refuse to pay for this. But, it is supposed to be specific to your ailment. There is no source provided for where the codes were derived. I have never heard of a prayer that required a code in order for it to be effective. Still some claim this has made all the difference in their treatment, and perhaps it has. I don’t believe this therapy is particularly harmful in and of itself because it is largely based on positive thinking, meditation, and prayer. Where I could see potential harm would be to stop all other treatments and rely solely on this to “cure” Lyme disease. Other than that, it would just be the loss of money invested in it. Sadly, I think this falls under the scam category. There are more links to the right to learn more. I do believe that this type of Therapeutic Support could help the overall health and well-being of a patient making their subsequent treatments more effective. However, I don’t believe it requires paying money to this company to get the same effect. There are many forms of meditation and self-help that can be learned and done from home for free. This I do highly recommend. For more information, see the Therapeutic Support page. Do your research and please seek medical oversight for basic organ and metabolic function.